A season that promised much has turned badly sour for FC Tokyo, and the firing of manager Hiroshi Jofuku may not be enough to stop the rot. 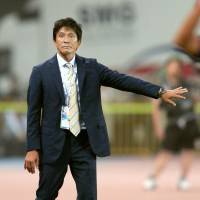 Tokyo pulled the plug on Jofuku’s second spell in charge at the weekend and replaced him with coach Yoshiyuki Shinoda after a 1-0 defeat to Kawasaki Frontale left the capital city club 13th in the overall table. Tokyo had realistic ambitions of winning the title after finishing fourth last year, but with 20 points now separating the team from third-place Urawa Reds and 12 games left to play, the playoff ship appears to have sailed. With only seven points separating Tokyo from the drop zone, a battle to avoid relegation may be a more realistic scenario for Jofuku’s replacement. 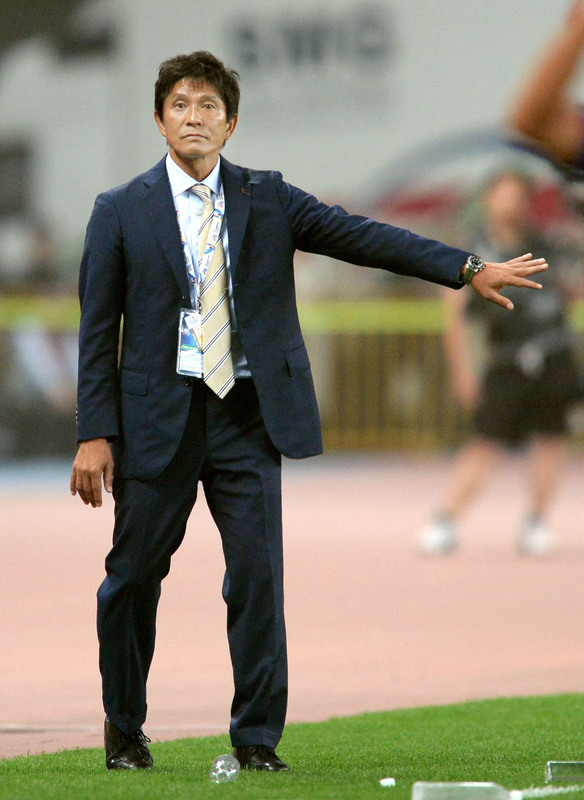 Shinoda led Avispa Fukuoka to promotion to J1 during his three years in charge of the Kyushu club from 2008-11, but Tokyo’s current situation is not for the faint hearted and a lack of top-level experience will not help the 45-year-old’s cause. In Shinoda’s favor is the fact that only two of Tokyo’s 10 defeats this season have been by more than a single goal margin, and the new man inherits a squad that should — in theory — have enough quality and know-how to turn things around. Those results will have to come soon if Shinoda is to steady the ship after a run of three straight losses, but upcoming games against Albirex Niigata and Jubilo Iwata — both struggling in the second-stage table — at least give him a fighting chance. Tokyo’s decision to replace Massimo Ficcadenti with Jofuku at the end of last season always looked a curious one given what the Italian achieved last year — and especially considering the fact that Jofuku’s first stint in charge from 2008-10 ended with the team hurtling toward relegation. Now the club is about to find out the full extent of the damage. Notsuda on form: Gakuto Notsuda’s career has not followed quite the same trajectory as new Arsenal recruit Takuma Asano since the pair broke through at Sanfrecce Hiroshima a few years ago, but the 22-year-old had reason to smile on Saturday. Notsuda, who missed the cut for Japan’s Rio Olympics squad and had to settle for a place as a backup, scored the winner as Albirex Niigata came from behind to beat Omiya Ardija 2-1, giving the Hokuriku club its first victory of the second stage. “I want to say thanks,” said Notsuda, who joined Albirex on loan from Sanfrecce in March and has scored his only two goals for the club in his last three games. Lee steps up: Urawa Reds will be wary of the impact of losing striker Shinzo Koroki to Japan’s Olympic team for the best part of a month, but Tadanari Lee filled the breach in fine style on Saturday. Lee scored in the 62nd and 73rd minutes to lead Urawa to a 2-1 win over Kashima Antlers, and the former Southampton striker was happy to take revenge on the first-stage champions. “We lost to Kashima in the first stage and that was very frustrating, so I’m happy we could win today,” said Lee, who pounced on a spill from Kashima goalkeeper Hitoshi Sogahata for the winning goal. — Kashiwa Reysol striker Cristiano enjoys scoring the 1,000th league goal in club history in Saturday’s 3-2 win over Gamba Osaka.